As a leading manufacturer of baby mattresses, Träumeland (Dreamland in English) provides babies all over the world with a healthy night’s sleep. 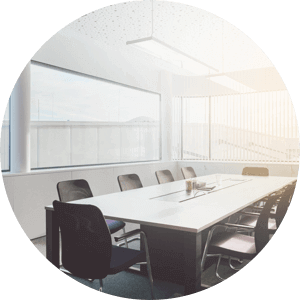 Having a smart office equipped with Loxone technology helps create the right environment to make this possible. There’s no doubt that a business like this has to meet high demands. That’s why the working environment matters most. It sets the tone for how any business performs. How many times have you left a window or door open? Perhaps reading this reminded you that you have to go shut one now. 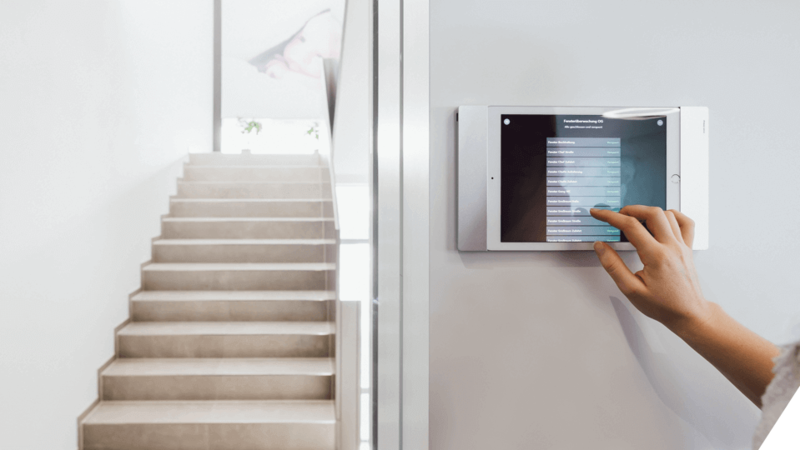 With 100 employees spread over 3450m², Träumeland has a wealth of doors and windows that now won’t go forgotten thanks to the Loxone Smart Home App. Hannes Nösslböck and his employees can take a quick digital look at any time and see for themselves that everything is closed. 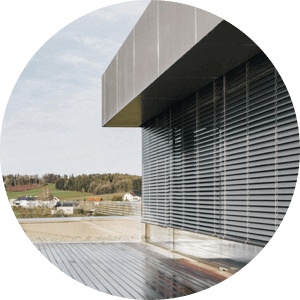 The windows at Träumeland are covered with Venetian blinds that work automatically taking into account the position of the sun. 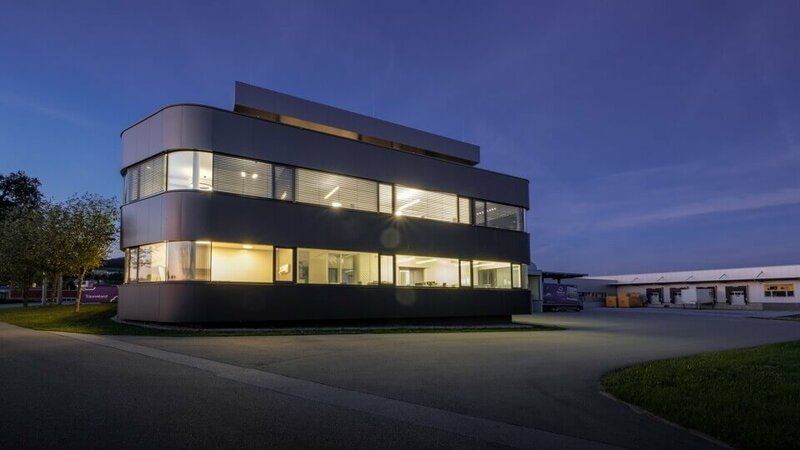 The intelligent office building also monitors outside conditions such as wind, rain, temperature and brightness and adjusts its shading accordingly. When the sun is shining brightly, the blinds will go down so you can avoid any harsh rays of light. 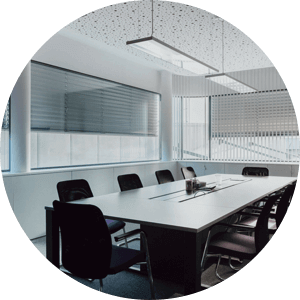 The blinds always know when to adjust on their own, which is just what you need for better focus during meetings. When the first employee enters the office in the morning, the lights automatically turn on. If no movement is detected after 30 minutes, the lights switch off automatically. 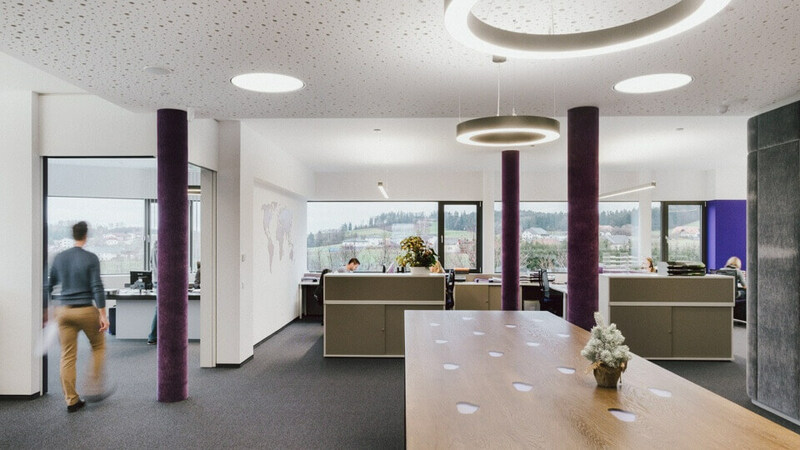 During the day, employees can use the Touch switch or app to change the lighting mood at any time. 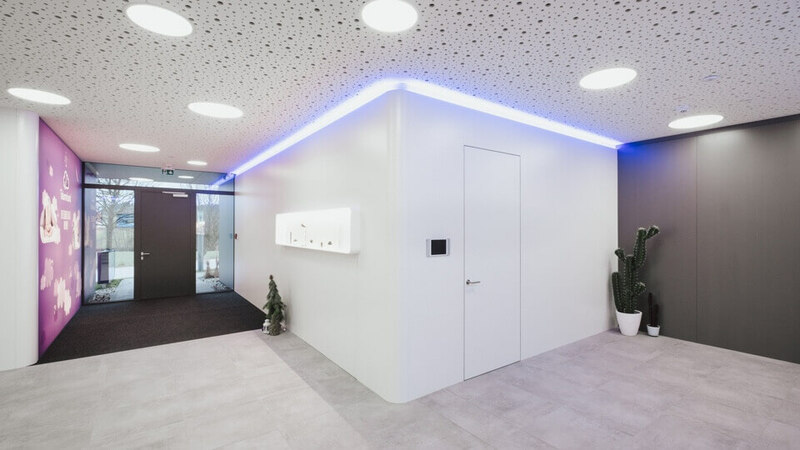 LED strips let you creatively capture the corporate identity throughout the building with a full range of colour, brightness and warmth. As the managing director of the business, Hannes Nösslböck has to make a lot of important decisions, take many phone calls and handle negotiations. Privacy is at the top of his list when it comes to needs for his office. For this reason, his office was equipped with two electric sliding doors and a NFC Code Touch. 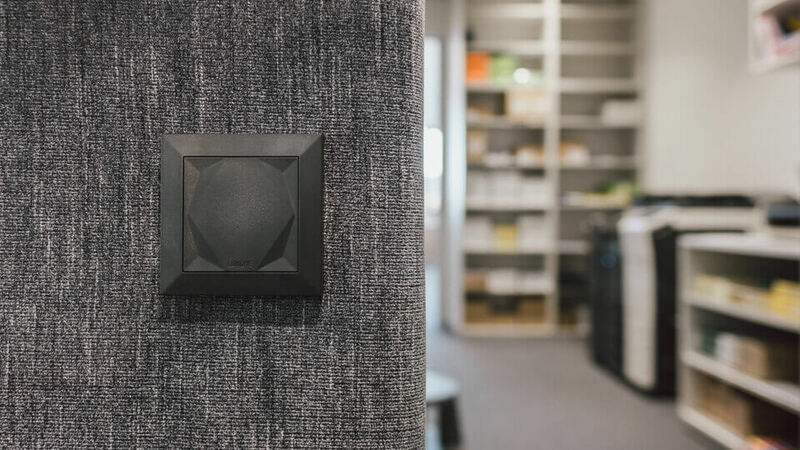 Now Hannes can close his doors with a single tap on the Touch switch on his desk. Once closed, the only way to open the doors from the outside is by using a code (only assigned to select individuals) on the NFC Code Touch. The NFC tags can be used as a means of payment, just like at our Loxone Basecamp. In all three self-service bars, food and drinks are billed to employees and automatically debited at the end of the month. What’s hiding behind the wall? At Träumeland there’s even a smart solution for an unaesthetic copy room. When an employee taps the Touch pad, it opens the wall to provide access to hidden printers and photocopiers. It then closes again with a double-tap or after a set time window has elapsed. And just like that, it’s like the copy room had never even been there. Both in the office wing and in the production halls, the temperature is always set for ideal working conditions. If employees are still too cold or hot, they can adjust the temperature at any time in the app. Then when all the employees go home, the office will go into Energy Saving mode. Power consumption is constantly recorded throughout the office building. This way, energy usage can be targeted to ensure that as much energy as possible is saved. As seamstresses carry out their work in the production hall, which is basically flooded with light, the lighting adjusts to their needs. To avoid wasting energy, the lighting is only activated when the brightness in the room falls below a certain level. This is extremely useful in the winter months. If it gets too hot, first, shading helps to cool the rooms. The blinds move down as if by magic and the room cools down on its own. If this doesn’t adequately cool the room, the ventilation will switch on automatically. Then as the very last step, if needed, the air conditioning will activate to ensure that the comfort temperature is achieved. 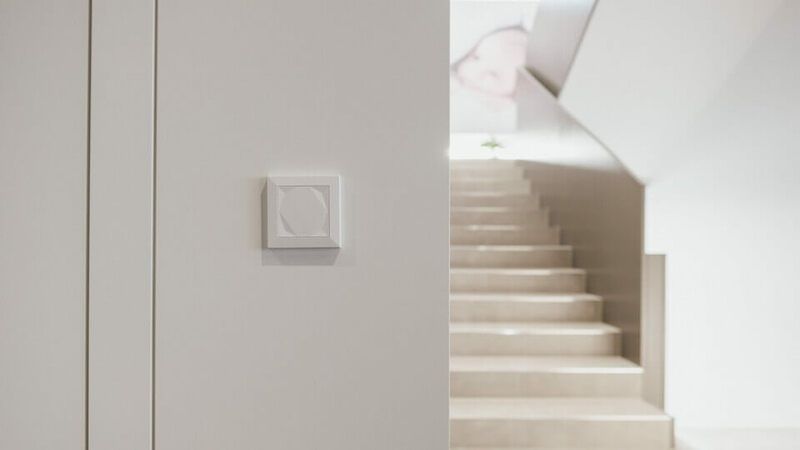 Are you planning a major project and looking for a Real Smart Home solution? With Loxone you have a reliable partner that helps you achieve your smart solution with smooth integration and sustainability. We are looking forward to working with you!